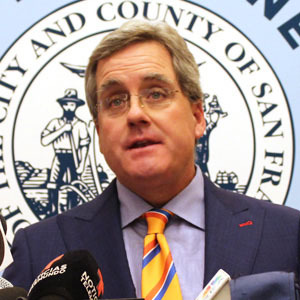 The lawsuit was initially filed in 2000 by then-Santa Clara County Counsel Ann Ravel, with San Francisco joining as a plaintiff the following year. Ten California cities and counties are now a part of the litigation. The cities and counties alleged that defendants ConAgra Grocery Products Company, NL Industries, Inc., and the Sherwin-Williams Company’s aggressive marketing of lead paint, which they knew was highly toxic to young children, created a public nuisance that threatens the health of California’s children to this day. In 2013, Judge James P. Kleinberg of Santa Clara Superior Court issued a $1.15 billion judgment in favor of the cities and counties, ruling that NL Industries, ConAgra and Sherwin-Williams were liable for the harm that they created. In November 2017, the California Court of Appeal for the Sixth Appellate District upheld the verdict for pre-1951 homes tainted with lead paint, overturned it as to homes built between 1951-1980, and remanded the case to trial court for further proceedings to limit the $1.15 billion abatement fund to an amount sufficient to address the problems lead paint poses in pre-1951 housing. The California Supreme Court denied review of the case in February 2018. Santa Clara County Superior Court Judge Thomas Kuhnle later ruled that the abatement fund should be set at $409 million to cover pre-1951 housing. The defendants proposed the $409 million amount, so it is time for them to stop the endless appeals and to work with cities and counties to begin funding the abatement program. The paint companies appealed the case in July to the U.S. Supreme Court, which denied review today. In San Francisco, over two thirds (68 percent) of homes were built before 1950, which is more than 235,000 residential units. At least 22,000 housing units in San Francisco that are occupied by low and moderate income families are believed to have lead-based paint hazards. The jurisdictions who are plaintiffs in this case are Santa Clara County, Alameda County, the City of Oakland, the City and County of San Francisco, the City of San Diego, Los Angeles County, Monterey County, San Mateo County, Solano County, and Ventura County. The jurisdictions were represented by the law firms of Cotchett Pitre & McCarthy LLP, Motley Rice LLP, Altshuler Berzon LLP, Mary Alexander and Associates, and the Law Offices of Peter Earle, as well as by their own County Counsel and City Attorney’s Offices.